My Home on the Gulf specializes in homes for sale in Lakewood Ranch, Bradenton, Sarasota and the remaining Gulf Coast cities and communities. They provide prospective buyers and sellers of property in the Gulf Coast of Florida with professional and personally-attentive real estate services. If you are planning to buy a property in the Sarasota, Lakewood Ranch or surrounding area then they would love to hear from you to discuss your requirements with a view to representing you in finding your dream home. If you are selling your home or planning on doing so in the near future then they can help by ensuring that your home is effectively marketed along with our commitment to finding you a motivated buyer in a timescale that exceeds your expectations. They provide competent and attentive brokerage services, based on in-depth knowledge of the area’s real estate markets and extensive experience in the realty business. 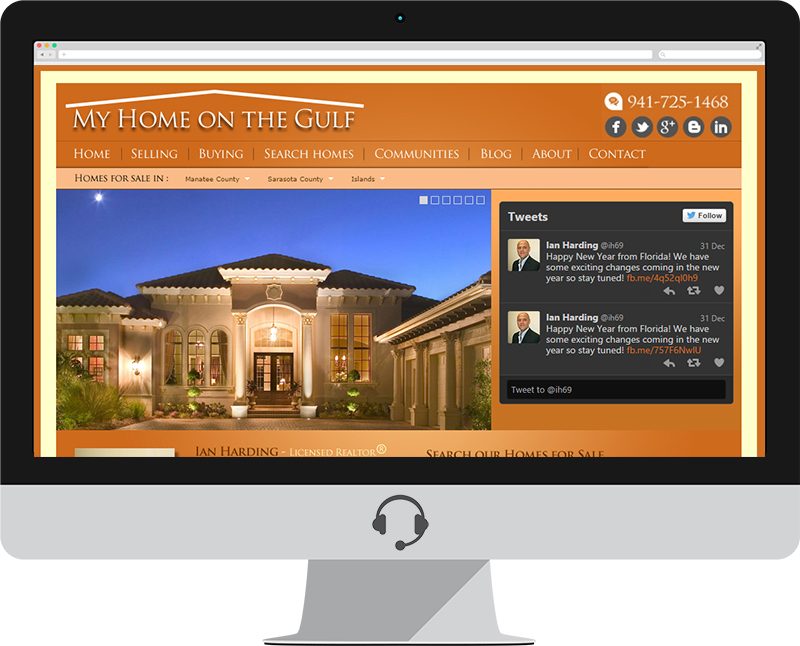 Social Operator designed and built the website at MyHomeontheGulf.com alongside Logo Design and Social consulting.